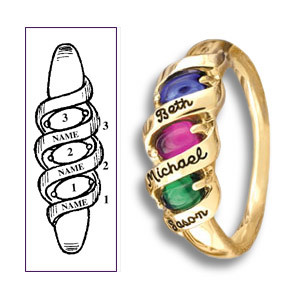 The 14kt white gold Ribbons Of Love ring features personalization for three names and simulated cabochon birthstones. Each engraving area holds up to 10 characters. Design Patent 382,831. Import.